Shenzhen Topband Co., Ltd. was registered in so-called “China Silicon Valley”, Shenzhen Hi-tech Industrial Park in 1996, and got listed in Shenzhen Stock Exchange ( the stock code as 002139) in 2007. After years of rapid development, now Topband takes lithium battery as the core technology and has become one of the leading suppliers of lithium battery solutions in China, focusing on nano lithium iron phosphate/ LiFePO4 technology for EV, RV/ caravan, marine, motorcycle, golf cart / trolly, UPS, solar storage, medical, floor scrubber, industrial, commercial use, etc. Smart Bluetooth & WIFI connection is is our patent feature, equipped with IOS & Android app to monitor the instant battery status (SOC, OCV, charge current, ambient temperature, and errors included). 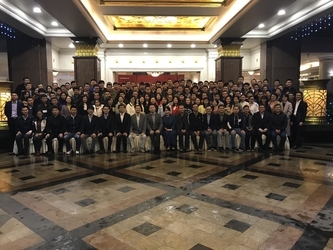 Our R&D team of over 300 professionals, in cooperation with Tsinghua Research Institute and Harbin Industrial University have laid a firm foundation of our leading technology. 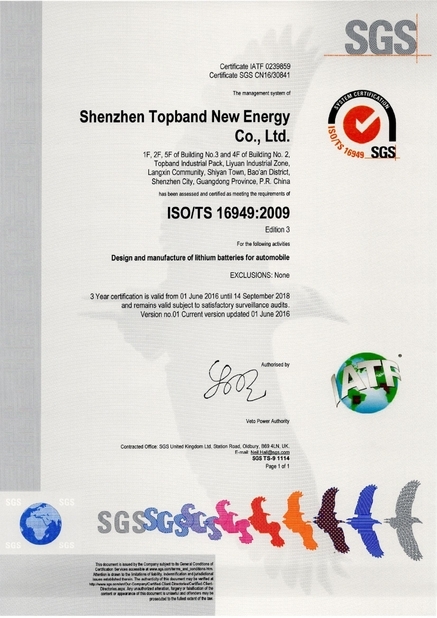 We have got the certificates of ISO9001, ISO14001, OHSAS18001, TS16949 and UL, CE, CB, UN38.3, TUV, etc. 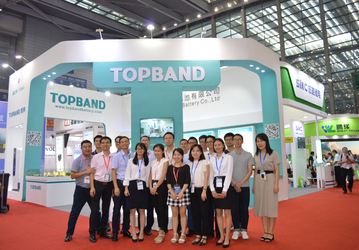 Topband is a Hi-tech enterprise. 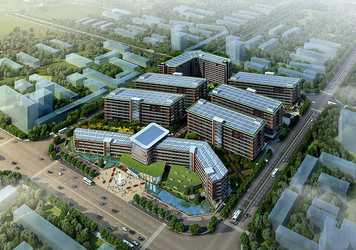 Since the company established, with innovation, we have committed ourselves to making people’s lives more comfortable and high-efficient. 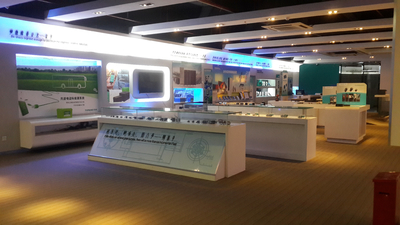 We and our companions are working hard at making technology progress to let people enjoy the changes of new technology. 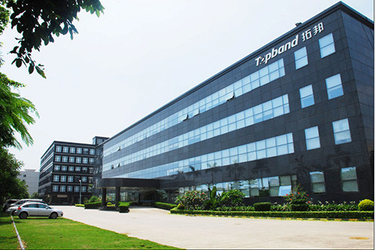 1996 Shenzhen Topband Electronic Equipment Co., Ltd was established in Nanshan Hi-tech Industrial Park. Warranty: 2-year for small packs, 3-5year for large energy storage systems, lifetime technical support service. 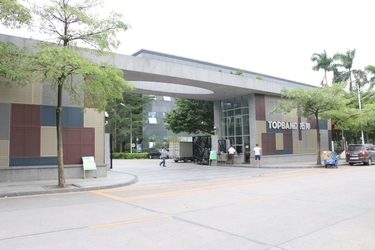 Cooperation with Tsinghua Research Institute and Herbin Industrial University. 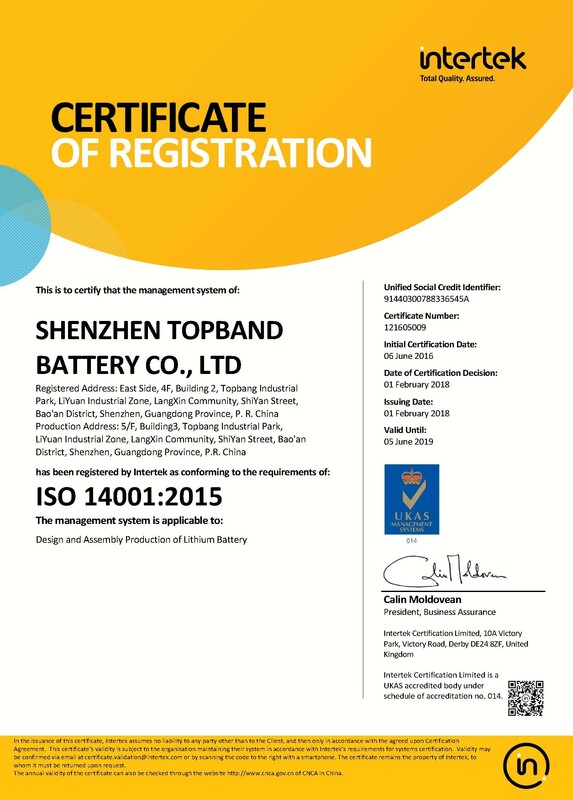 China Good Quality Rechargeable Lifepo4 Battery Supplier. 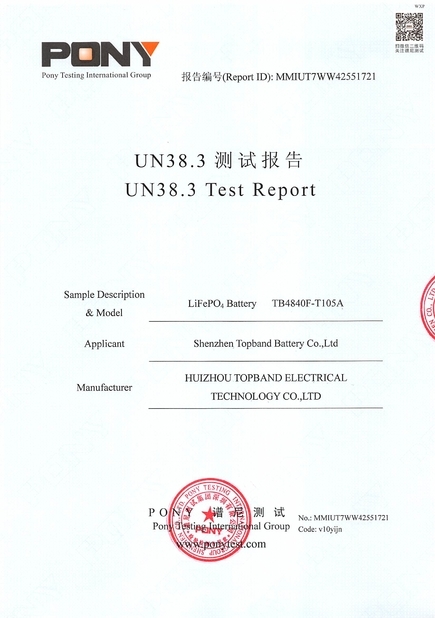 Copyright © 2016 - 2019 rechargeablelifepo4battery.com. All Rights Reserved.